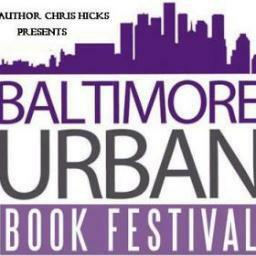 I'm happy to announce that I'll be one of the authors featured at the Baltimore Urban Book Festival (BUBF) on July 14, 2013 from 12PM-6PM. The event will take place at the Frederick Douglass-Isaac Myers Maritime Museum located at 1417 Thames Street, Baltimore, MD 21231. Some of the headlining authors include Angela Stanton, Caroline Jhingory, Donna Hill, Sadequa Johnson, and Wahida Clark. I'll also be one of the poets featured alongside Anthony Tyrone Pressley, Monda Raquel Webb, Michelle Lynn Stephens, and Sharon Clarkson during the Spoken Word Hour from 2:30PM-3:30PM. As mentioned on the BUBF website, "The mission of the Baltimore Urban Book Festival is to cultivate an environment where cultural book authors and readers have an annual opportunity to celebrate literature in a setting that encourages,educates and entertains everyone from the new reader learning phonics to the full fledged book worm." I'm looking forward to sharing my work and connecting with other authors, prospective readers, vendors, and the many organizations who'll be in attendance. If you're in the Baltimore or DC Metro Area around the second weekend of July, please come support the event!